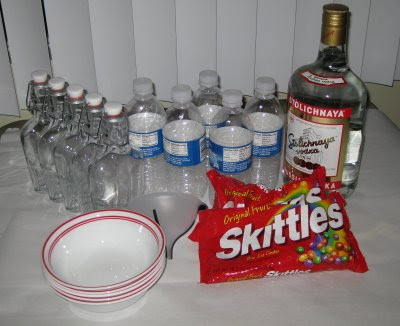 So apparently the newest trend is mixing vodka with Skittles. Absolutely NOT cool. Because this means that back during my undergrad years, when I used to mix Costco-sized bags of skittles with my Mountain Dew for a much needed late-night-"studying"-session sugar rush unrivaled by any other caffeine/legal drug offering, I wasn't completely insane as my friends/family/dentist hinted? I could have patented this idea. I could have been rich or the first Mark Zuckerberg. Instead, I'm stuck in bleeding grad school because I happened to care what people think of me. It's like the new version of Jolly Ranchers in Zima! Hm, I've never heard of this concoction. I'm so uncool.